Do you ever wonder why your fellow students joined the program? What their professional goals are in landscape architecture, and what they are up to once they leave the program? 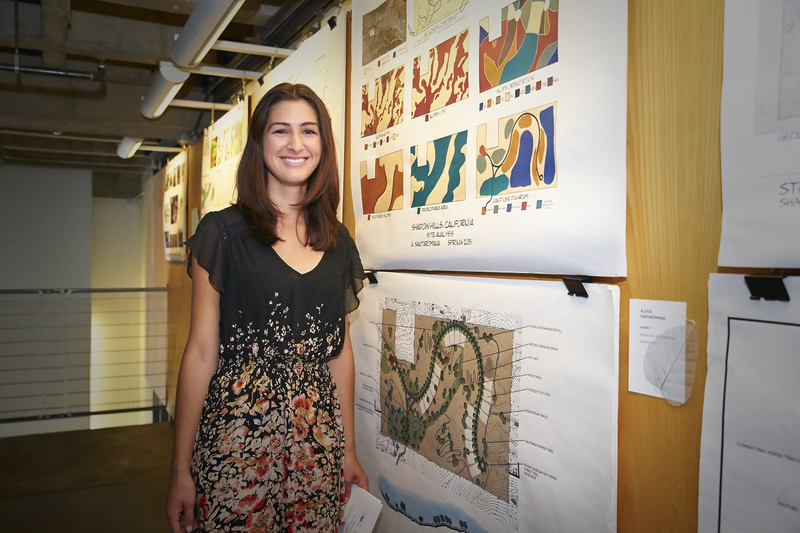 Well the Landscape Architecture Program does and we want to share these stories of current and past students. This month’s Program Showcase features Alexis SantaRomana, UCLA Extension’s Landscape Architecture Program’s ASLA Student Chapter President. 1. 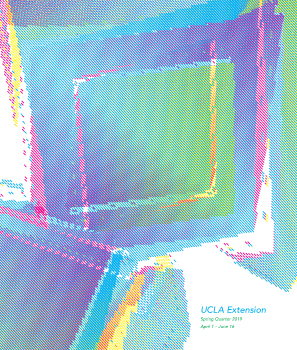 What brought you to the profession and to the Landscape Architecture Program at UCLA Extension? I moved to Los Angeles in 2012 after earning a business degree from the University of Georgia. I was still unsure of what I wanted to do professionally, so I started exploring my interests. I knew that I enjoyed math, but that I was also craving a creative outlet. One day I was taking a garden tour at the Getty and it suddenly clicked to me that designing public spaces is a job and that it is a job that I could do! After doing some research, I found UCLA Extension’s program and really valued that it was designed to allow me to work during the day gaining experience and go to class in the evenings. 2. What was your favorite course in the program and why? So far my favorite course has been Design VI with Meg Rushing Coffee. In this class, we approached design with a new set of tools. We added depth to our designs by doing more research into user groups and precedents. We also explored design metaphors and how they can be used to justify design decisions. Doing research for this class really helped me to get a better sense of social issues that I am passionate about and would like to explore further. 3. Who if any was your favorite instructor in the program and why? There have been so many instructors that have had a huge impact on me. One instructor in particular who stands out for me is Jim Smith. Jim’s passion for the field is infectious. He elegantly balances patience and constructive feedback, resulting in a very nurturing learning environment for students. He is “the process man” and always stresses to us the importance of using your process to help communicate your final design to a client. Jim’s emphasis for understanding human scale and designing in elevation has had a big impact on me. 4. What are you doing professionally these days? This summer I was very fortunate to have the opportunity to intern in the Department of Recreation and Parks for the City of Los Angeles. It was an invaluable experience to have an insider’s look into how public parks get built. I worked with the five landscape architects in the department and was given a wide range of tasks from meeting with community members to design work and CAD drafting. Everyone that I worked with was very patient and eager to teach and talk about the field. The internship ended last week so now I am updating my portfolio and applying for positions at firms around town. 5. If the phone rang right now and someone offered you your dream job, what would it be? My ideal job is one which involves working together with local communities to create comfortable spaces that bring people together. I am also very interested in using landscape architecture to promote social justice and create functional landscapes for all types of people to enjoy. In 5 years I will be 3 years out of the program. At that point I hope to have earned my license and be working for a Los Angeles firm learning from someone that I admire. 7. Who is your favorite Landscape architect or designer? Any specific site or project? It’s hard for me to choose favorites, because there are so many landscape architects that I admire, but one I have been influenced by lately is Lawrence Halprin. I really appreciate his attention to how people move through space and also to the social impact of design. One specific project of his that I admire is the FDR Memorial and how he uses progression of space to tell a story. The spaces are comfortable and thoughtful. 8. What do you enjoy most about working in the profession? I enjoy working in such a dynamic field that is constantly evolving. I find it exciting that there will always be new things to learn and explore. 9. What advice would you give to incoming students? Embrace every opportunity that you have to immerse yourself in the field. I realize that we are all very busy working students and that there is never enough time in the day for all of the things we want to do. One thing that I have realized, though, is that the more I participate in landscape architecture related events, the more energized I am and I find it easier to stay motivated when I am up at 3am finishing a project that is due the following day. This has been one of the biggest rewards for me personally from becoming involved in our student chapter of the American Society of Landscape Architects. I’m currently reading William Whyte’s The Social Life of Small Urban Spaces. It is a very interesting and entertaining look into how people use space and what attracts people to some urban spaces and not others.